The amount of 30.9 USD has been deposited to your account. Accounts: U20519481->U1*. Memo: API Payment. 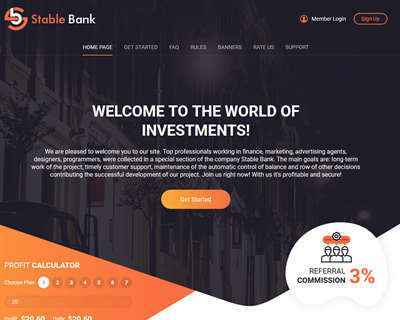 Withdraw to Ruslanis from Stable Bank.. Date: 07:14 23.03.19. Batch: 252246242. Выплата 03.27.19 07:54	Account	Receive	+20.6	Received Payment 20.6 USD from account U20519481 to account Batch: 252810797. Memo: API Payment. Withdraw to Irina22 from Stable Bank. 03.28.19 08:09	Account	Transfer	-200.00	Sent Payment: 200.00 USD to account U19335710 from U4731311. Batch: 252958803. Memo: Shopping Cart Payment. Deposit to Stable Bank User monitorinvestnet.